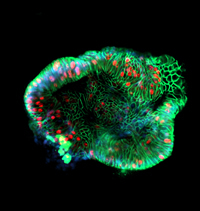 vitro cultivation of cells, tissues, organs, and tumors from invertebrates and vertebrates. Published monthly with combined issues in July/August and November/December, this journal is a must-read for scientists working in the fields of vertebrate and invertebrate cell and tissue culture. Offering original papers on timely issues, such as special series including Stem Cells and research on NASA Biotechnology/Cell Science in Microgravity. Other papers have addressed research in biotechnology; cell and tissue models; cell growth, differentiation and apoptosis; cellular pathology and virology; cytokines, growth factors and adhesion factors; signal transduction; toxicology and chemical carcinogenesis; and product applications. The journal provides original research devoted to the advancement and dissemination of basic and applied knowledge. Readers include biomedical and industrial scientists, researchers, university professors, and post-graduate students – an excellent market for cell and tissue culture media, laboratory equipment and supplies, agricultural products, scientific books and journals, and more. For information on advertising, please click here. Letters to the editor, invited reviews, and book reviews are also included. In addition to the traditional publication process, Springer now provides an alternative publishing option: Springer Open Choice (Springer’s open access model). A Springer Open Choice article receives all the benefits of a regular article, but in addition is made freely available through Springer’s online platform SpringerLink. To publish via Springer Open Choice upon acceptance of your manuscript, please click on the link below to complete the relevant order form and provide the required payment information. Payment must be received in full before free access publication. For more information on open choice, please click here. Tweet about the In Vitro journals. 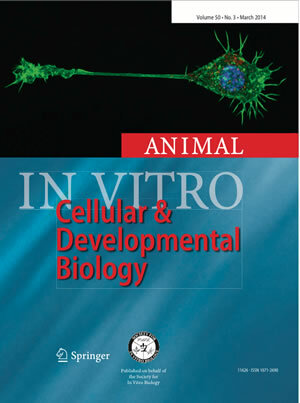 In Vitro — Animal is published monthly, with combined issues in July/August and November/December plus meeting abstract supplement published in the spring.